was a contest/poll that was conducted by the Spanish Television Company Antena 3 and the radio broadcaster Cope. The final results were announced on 31st December 2007. I thought it might be interesting to take a look at the eight out of the twelve that I have visited. 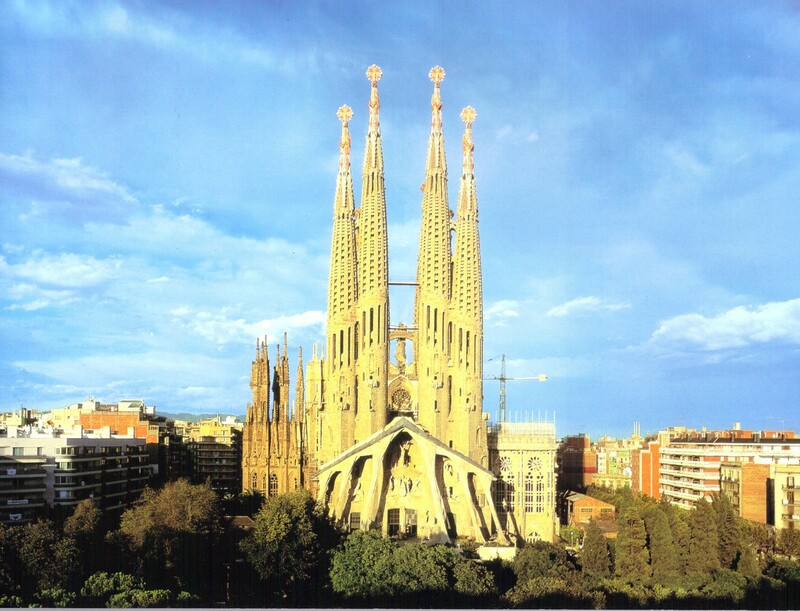 Tenth in the competition and the final Cathedral in the list is the unfinished Gaudi masterpiece Sagrada Familia in Barcelona. We travelled to Barcelona in 2005 before I had really heard about or fully appreciated the architecture of Antoni Gaudi so this place came as a real surprise. On a sightseeing day we were walking along the Passeig de Gràcia in the Eixample district of Barcelona and heading for the Casa Milà, which some might say is Gaudi’s most famous creation, when across the street we saw the most amazing building that I have ever seen that turned out to be the Casa Batlló. We visited the Casa Batlló and then with heads swimming from the architectural experience and lesson moved on to Casa Milà where from the roof, along one of Barcelona’s long straight Avenues we could see La Sagrada Familia just over a kilometre away – so that was where we went next. I remember that it was quite pricey to get in but then this is the principal source of fund raising because the long drawn out construction is not supported financially by the National State of Spain, the Autonomous Community of Catalonia, the Province or City of Barcelona or the Catholic Church. So just how long does it take to build a Cathedral? In England York Mister took two hundred and forty-two years, but by comparison St Paul’s in London was rushed up in only thirty-one, Notre Dame in Paris took one hundred and eighty-five years, Seville in Spain one hundred and eighteen years and St Peter’s in Rome one hundred and twenty years. Even the Basilica of the National Shrine of Immaculate Conception in Washington took forty-two years and although this might seem like snail’s pace construction all of these were positively rapid compared to Milan at five hundred and seventy-nine years and Cologne in Germany at six hundred and thirty-two years – a shame then you might think that Allied bombers knocked it down in the space of just a few nights during the Second-World-War! I digress here but the bombing story reminded me that the German Luftwaffe similarly destroyed Coventry Cathedral in 1940 in just one bombing raid. This Cathedral with the third highest spire in England after Salisbury and Norwich had taken sixty years to build between 1373 and 1433 which I suppose you might consider quite quick but not as rapid as the new Coventry Cathedral which was built in only six years and which, in a national poll in the 1990s, was voted Britain’s favourite twentieth century building. So we purchased our entry tickets and went inside into a surreal world of a combination of church and building site with stone and brick side by side with pews and confessional boxes and we wandered around the great nave and the side chapels and then made our way to the entrance to the lift that would take us to the top of the twin towers soaring high above the half finished building and which took us closer to the stone carvings, the allegorical friezes and the sometimes curious selection of material used in the construction and the bonus was a glorious view over all of Barcelona with a riot of colourful but not especially attractive boxy buildings leading all the way down to the sea front. Down again at ground level we walked through the forest of scaffolding to the main doors and then left taking time to admire the sculptured nativity scene in its prominent position between doors and spires. 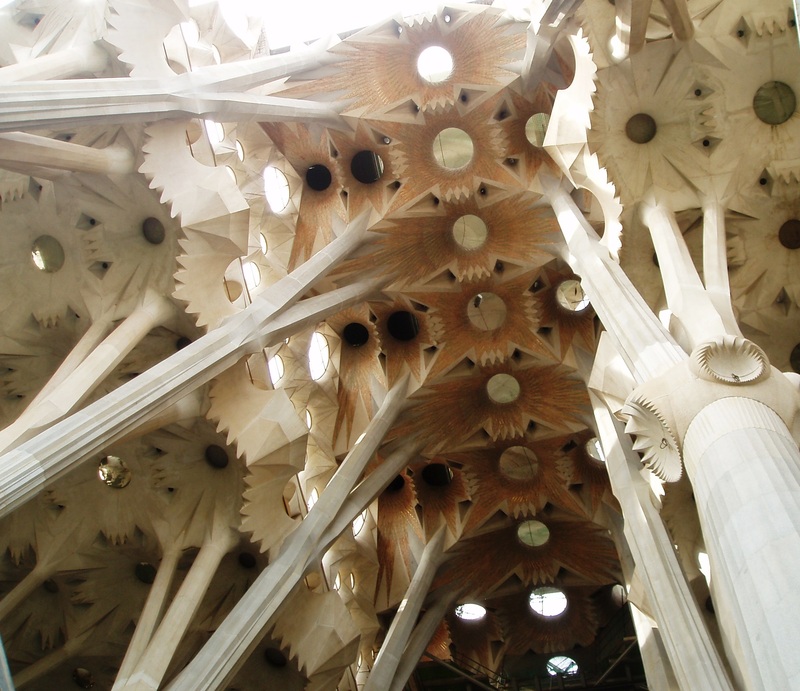 At first glance this all seems rather chaotic but with its avoidance of straight lines and right angles, and its forest-like columns of trees, it embodies Gaudí’s belief that construction should follow nature. The fluidity of the design creates the illusion of fusion – columns and arches melt into a viscous panorama that foams, drips and provides refuge for plants, animals and people and as we stood and admired it I hoped that although it is difficult to get inside the mind of a genius that I might at least be able to understand just a little of what it all meant. 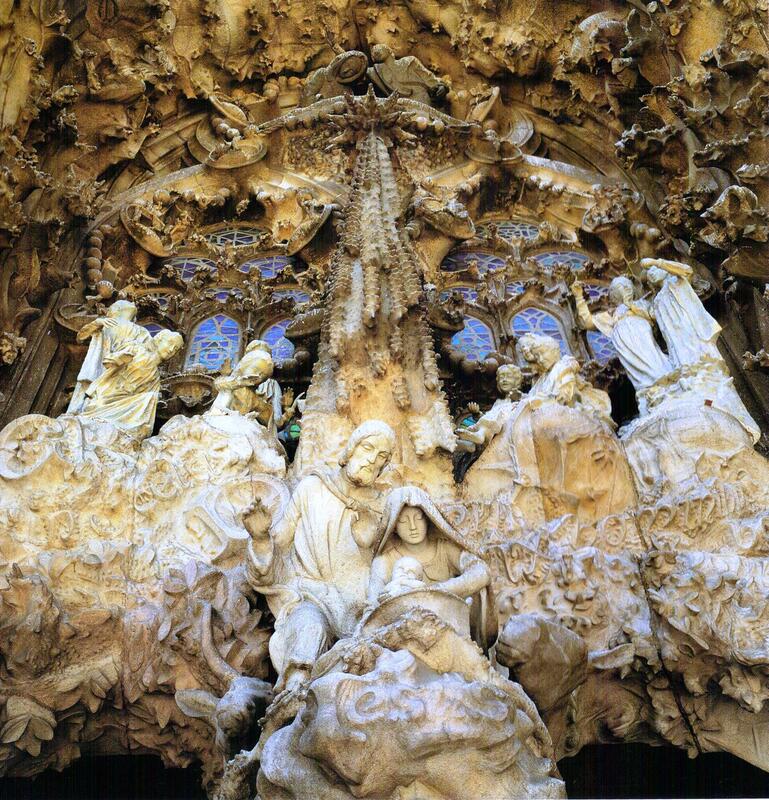 This entry was posted in Cathedrals, Europe, History, Spain, Travel, World Heritage and tagged Antoni Gaudi, Architecture, Barcelona, Catalonia, Culture, La Sagrada Família, Life, Religion. Bookmark the permalink. WOW! I must pack some bags and actually LEAVE the house. From memory…work on Cologne Cathedral, once done by prisoners working the cranes with treadmills, ground to a halt for several hundred years. Then it was completed very fast in the 19th century and for a while was the tallest building in Europe. It survived the WWII bombing with just a lot of broken windows, and today you’d never know it had ever been damaged. When we visited Barcelona in 2010, the Sagrada Familia looked like a bomb site too. Will be nice for our great great grandchildren to see it finished, though Spain has a financial crisis to see off first. Rather spooky how churches and cathedrals sometimes avoided total destruction when everything else was flattened. I visited Freiburg in the Black Forest where the same thing happened. Coventry of course wasn’t so lucky. A few years ago I was called out to an emergency after a tornado ripped through a village in Lincolnshire. It took the roof off the church and the insurance company refused to pay up because they said that it was an ‘Act of God’! Thanks for this interesting post about one of my favorite cities. I especially like the Corbusier quote. Thanks Dina – I appreciate the comment. I love your digressions, Andrew. How would I learn so much, otherwise? Only number 10? I guess many spaniards couldn’t bring themselves to vote for something in Catalonia. I went in 2001 and am sure there was no lift then, just a very steep and narrow staircase shared by people going up and down. As it is taking so long to complete it’s rather odd that they prioritised the lift! I visited the sagrada familia in 2009 and thought the outside was beautiful. I did pay to go inside but was a little disappointed. Next time I’ll just stay and gaze at the outside. When we visited this magnificent piece of art and architecture, there were sections being restored or renovated. Is that completed now when you visited? 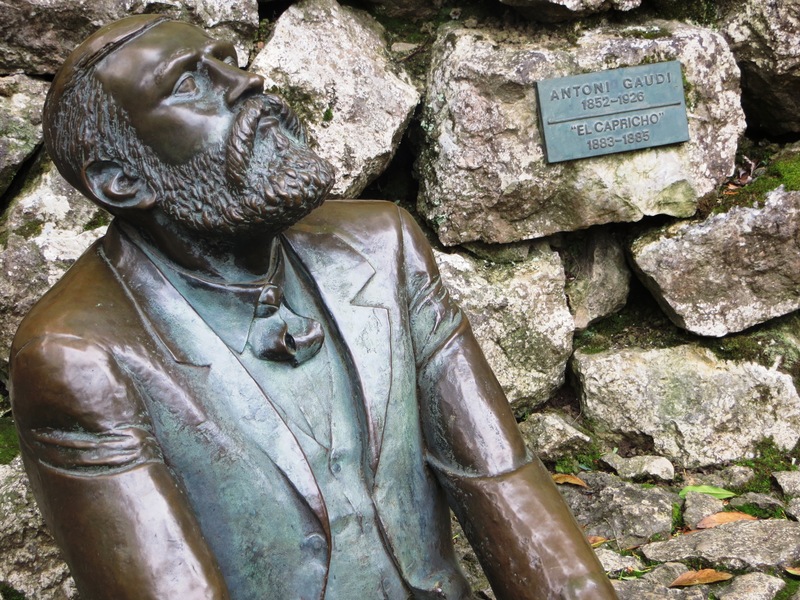 Gaudi is a very unusual artist indeed. 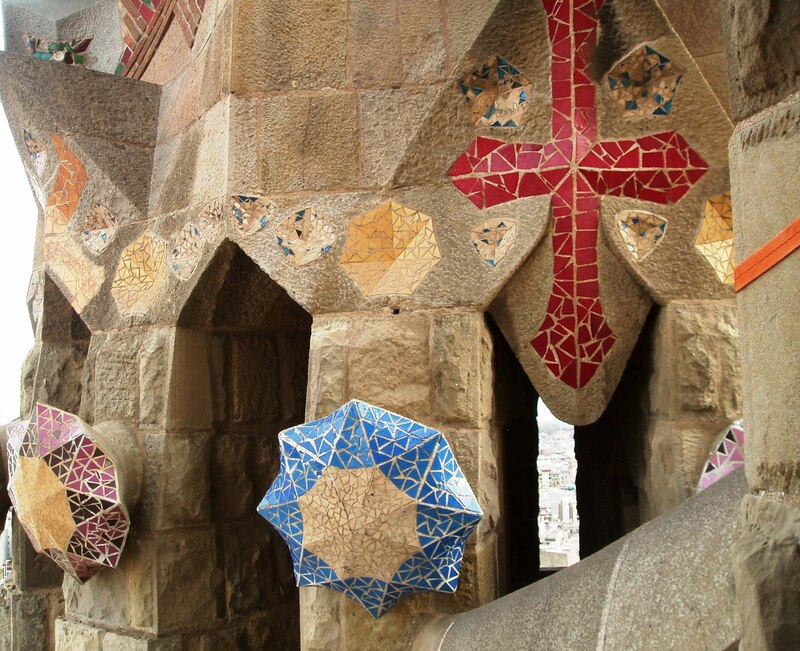 One of my favourite Gaudi places was Park Guell – did you go there?